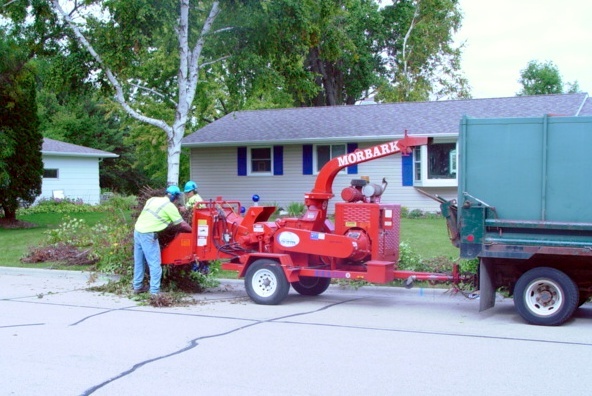 The Public Works Department is responsible for operating and maintaining nearly sixteen miles of village streets. Our staff is also responsible for pothole repairs, street sweeping, sidewalk maintenance and repair, street sign mai ntenance, crosswalk and curb painting, snow removal and ice control, and curbside brush chipping. The D.P.W. 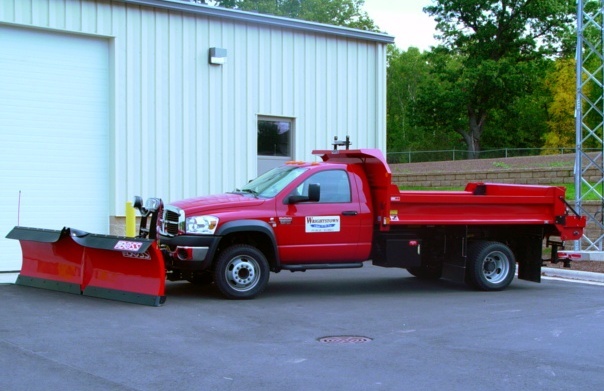 staff also maintains a fleet of vehicles and equipment that is used in the day-to-day operation as well as all municipal facilities. In addition to operating and maintaining village streets, equipment, and facilities our staff monitors and inspects any work that is completed in the public right-of-way. Any resident, utility, or business that will be completing work in the right-of-way is required to fill out and submit a Right-of-Way Permit. Permits can be downloaded from this website and turned in at the Wrightstown Village Hall located at 352 High Street. Fees may apply. All work that is completed in the right-of-way must conform to village specifications. For more information please click on the link below to view and download relevant specifications and right-of-way permit. There are many roads in the village that are not maintained by the village. Any county trunk highway that runs through the village is maintained by the Brown County Highway Department. State Highway 96 that runs through the entire length of the village is the responsibility of the Wisconsin Department of Transportation and the Brown County Highway Department. Any work that is completed in the right-of-way on any county road within the village limits requires a right-of-way permit from Brown County. Please call 920-492-4925 for more information.